Storm the Queen of Wakanda is on a visit to one of the rural schools of the state to meet with the children. While there her husband’s ship crash-lands into a nearby building. 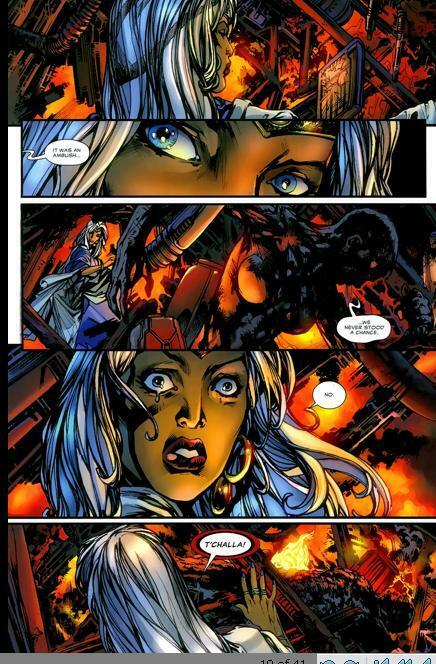 Searching the wreckage Storm finds one of the Dora Milaje dead and roasting and can only shed a tear when she sees her husband in the very same state. Flashback- Tchalla and his bodyguards are on their way to see Namor the submariner. They meet and greet and get down to business. In the present the queen mother rushes to the hospital and demands to know what has happened with her son. S’yan tries to stop her from seeing him but storm lets her in anyway. When she sees him she is horrified. 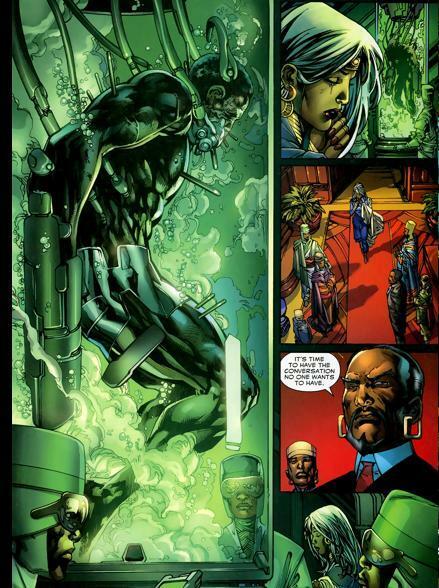 Flashback- Namor offers Tchalla entrance into the cabal formed by Norman Osborn during Dark Reign. Tchalla is not interested just as he was not interested in the Illuminati. Namor is visibly saddened by his choice and bids his friend Goodbye. In the present the Wakandan royals meet with the doctor to find out more about T’challa’s condition, things don’t look good though. S’yan brings up the Panther mantle for discussion despite everyone’s reservations. The queen mother agrees and they must now choose who will be the next Panther. 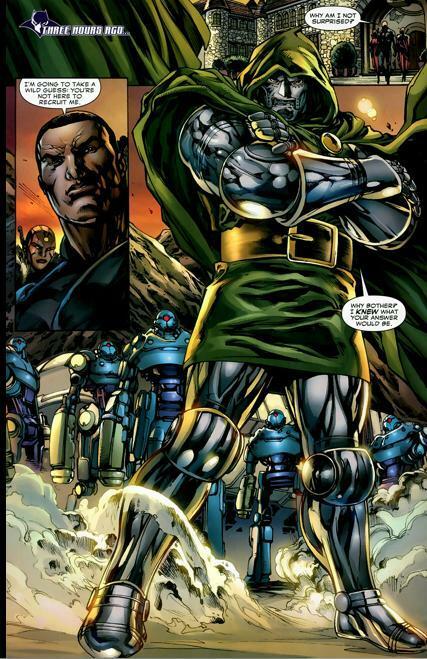 Flashback- Dr.Doom and his Doombots stand between T’challa and his departure. Doom and T’challa’s forces tangle. Artwork-Art was gorgeous it really made everything more captivating and enchanting because it was just done right. I also enjoyed the story, flashbacks can be annoying but in this issue it’s used to great effect. Characterization-T’challa has always been a bit arrogant and this is where it becomes his undoing. I never expected him to flinch when facing Doom because frankly does T’challa ever flinch? Cause I’ve never seen that. Accessibility- This issue is a great jumping on point. As it gives a run down of T’challa’s life right up to before this issue. Continuity- When T’challa and his wife visited Latveria and released an EMP (electro magnetic pulse for details see Black Panther #19) resulting in loss of power to his nation he was pissed! he vowed revenge and here it is! One step ahead- I’m sure purists will hate how T’challa is taken down because he should be wearing a vibranium weave costume but you know, even brilliant men makes mistakes and have an off day. Fanboys-Some fanboys just wont like it, they are the loudest voices on the net but they too shall pass.